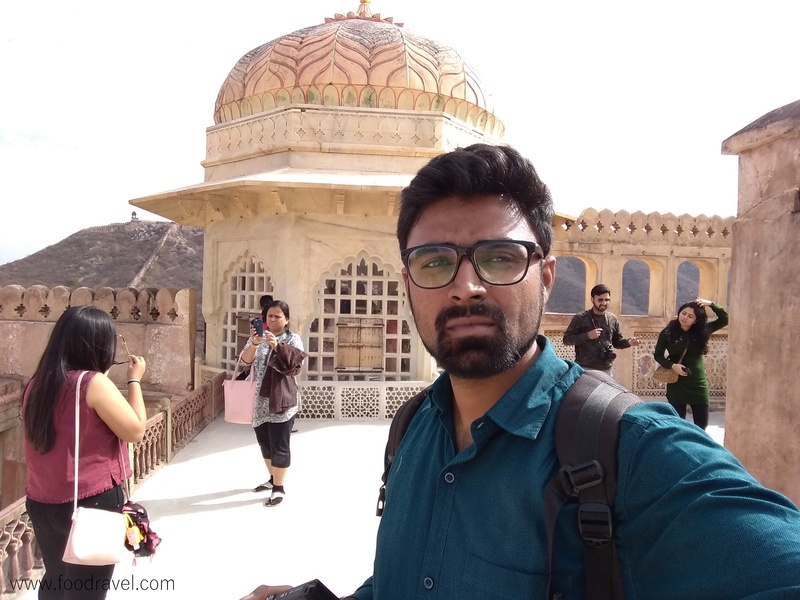 I visited almost all the major places/attractions in Amer Fort. 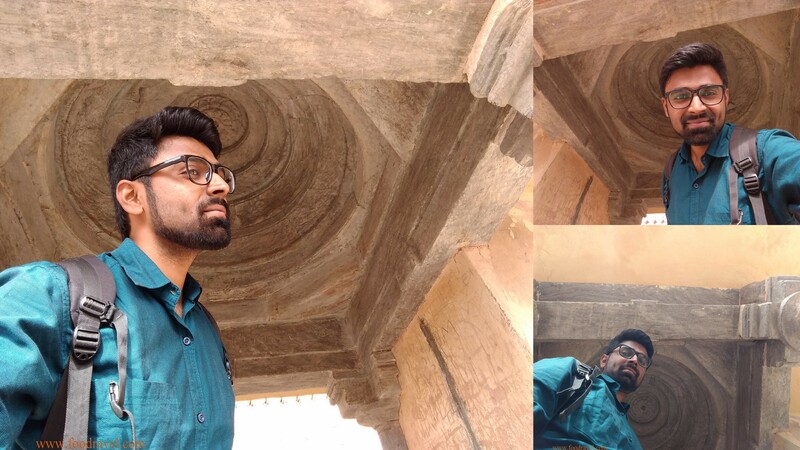 It took me around three hours to roam inside the fort. 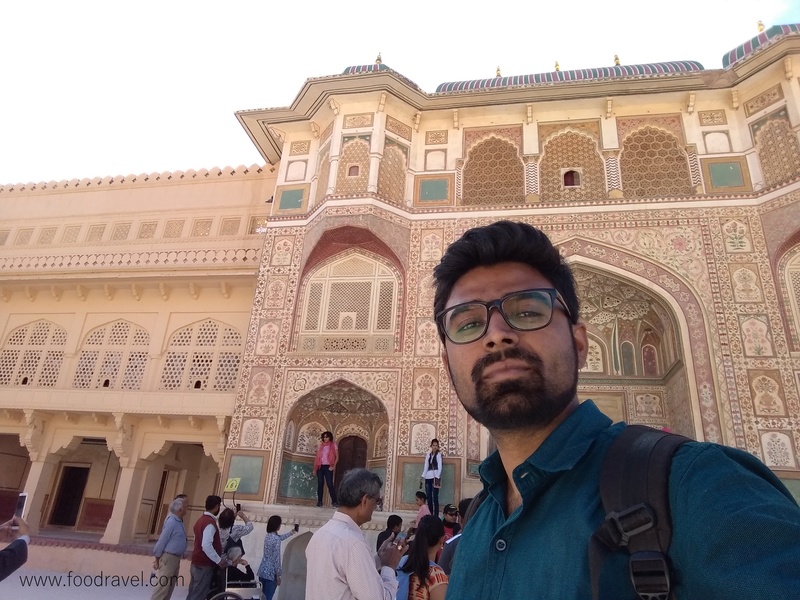 Amer fort is big. 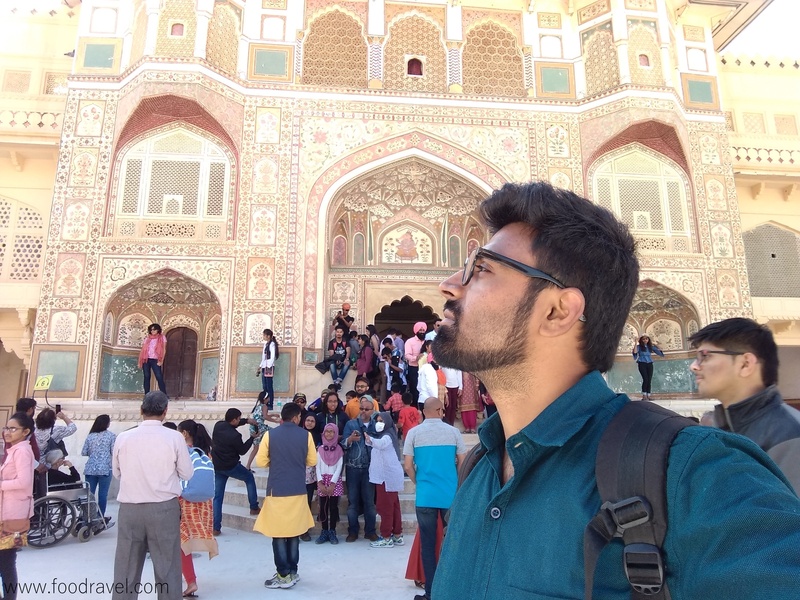 Amer fort is massive and it is a majestic monument with great historic significance. 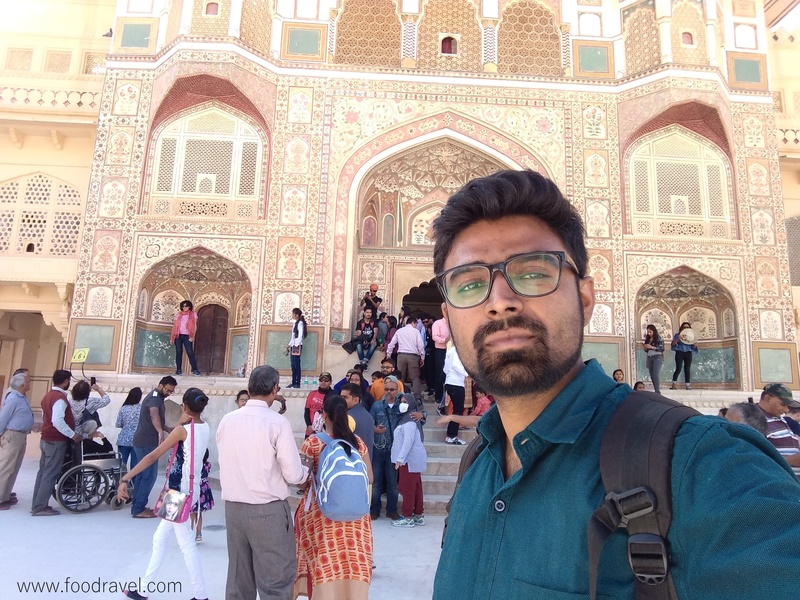 The fort is located some 11KM away from the main city of Jaipur. 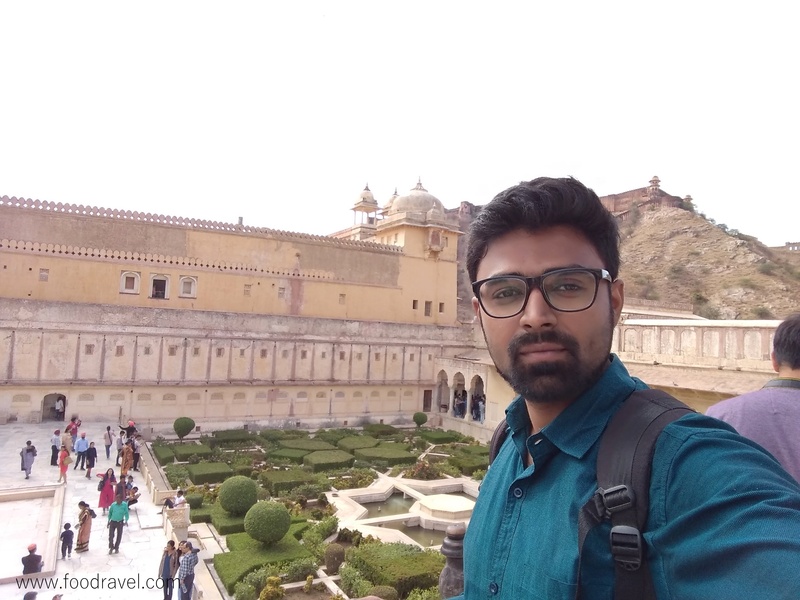 It’s good to reach here by time if you are planning to visit both Amer Fort and Jaigarh Fort (which is advisable to do so as both the forts are connected with each other). I took 100+ shots with my camera. 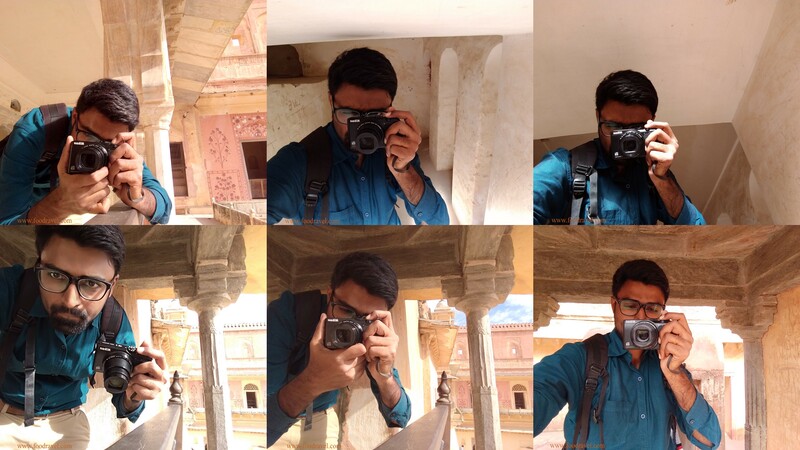 Plus, I took several shots of selfies at Amer Fort Jaipur. 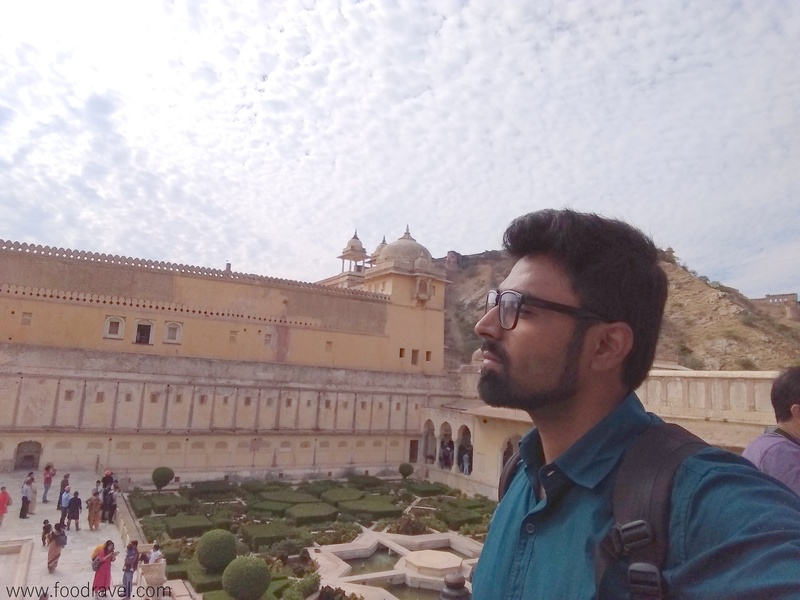 I visited Amer Fort to click photos and make a travel vlog. 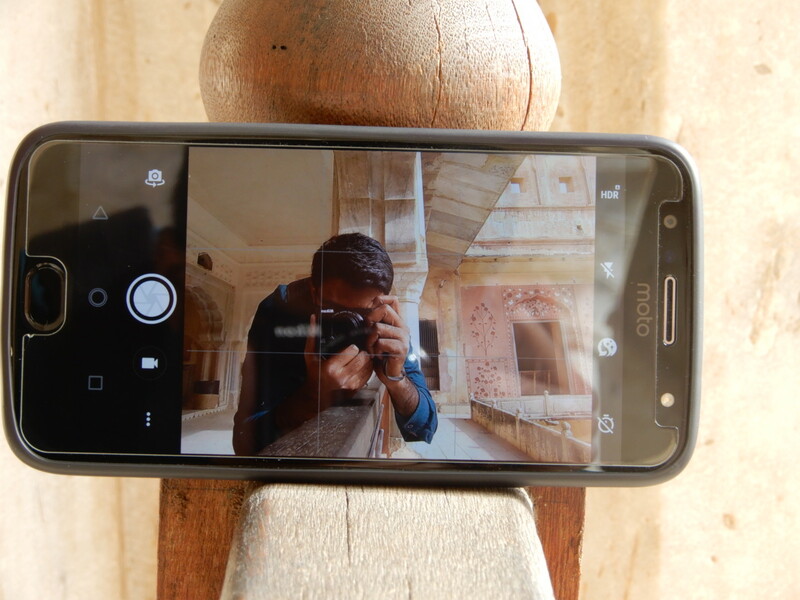 I had one Nikon A900 compact camera which I bought recently, a newly bought Moto G5S Plus and one Sony point and shoot camera as a backup camera. 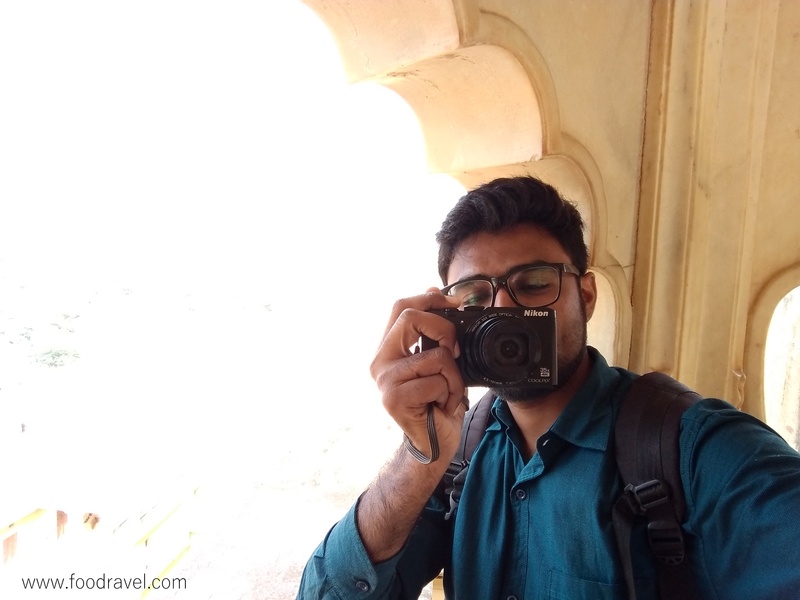 Though I didn’t have any accessory or shooting gear, I managed to take some good shots which you might have seen in my previous post on Amer Fort (link given). 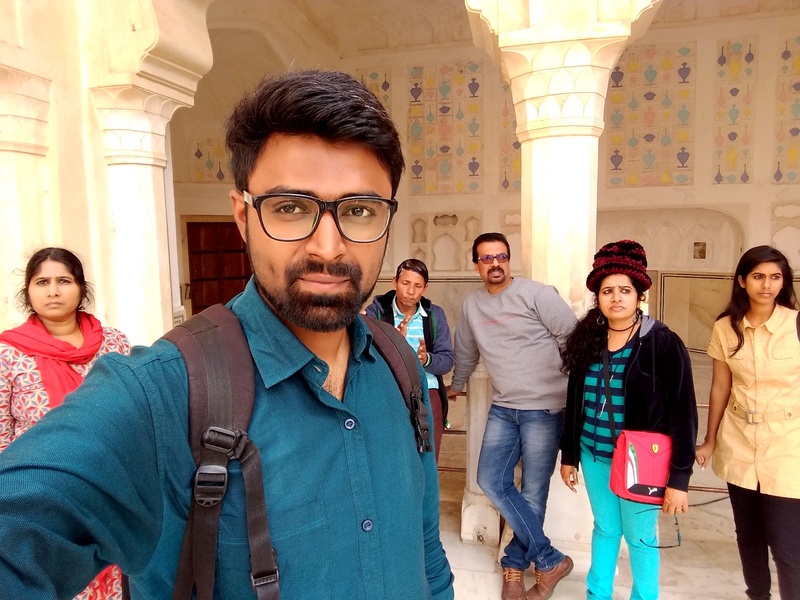 When comes to smartphone photography, selfie shots are always on favourite. 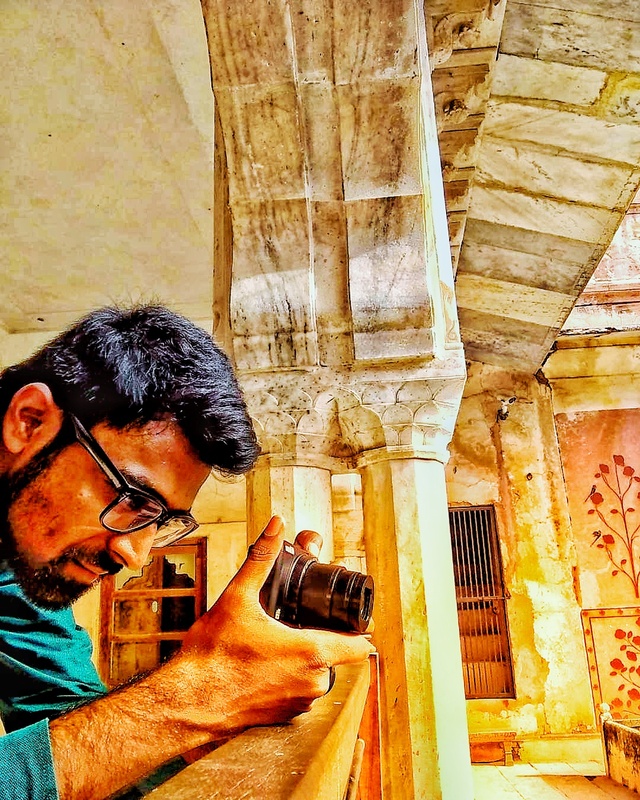 With the increase in social media portals such as Snapchat, Instagram, mobile photography has increased a lot and has become a new subject. 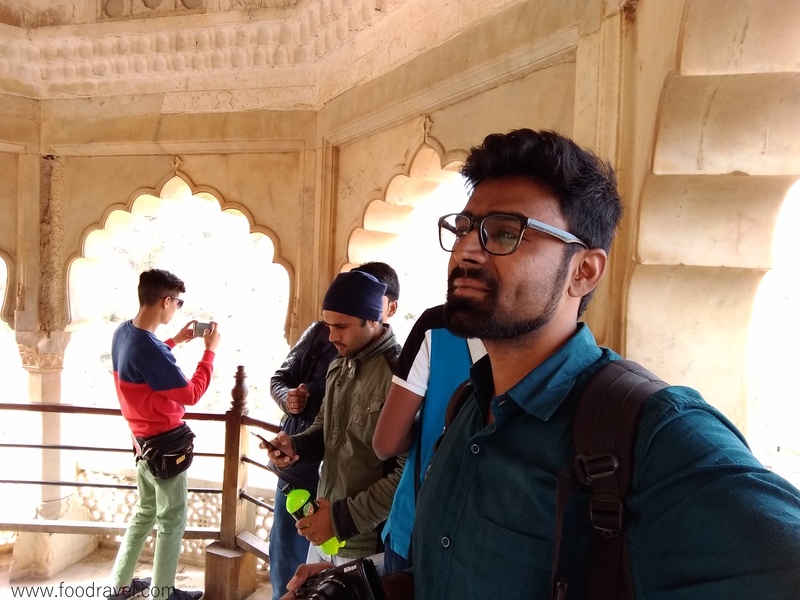 There are so many smartphone photography accessories available in the market such as selfie stick, gimbal, mobile tripod etc. 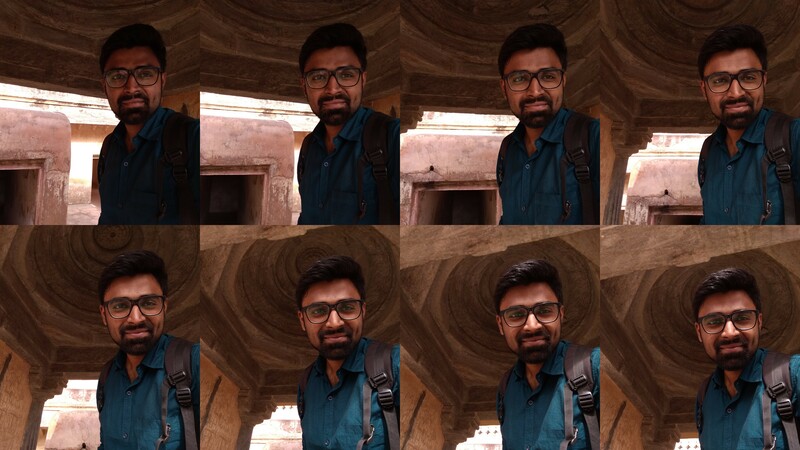 While I was there in the fort, I used my all cameras to get desirable shots. 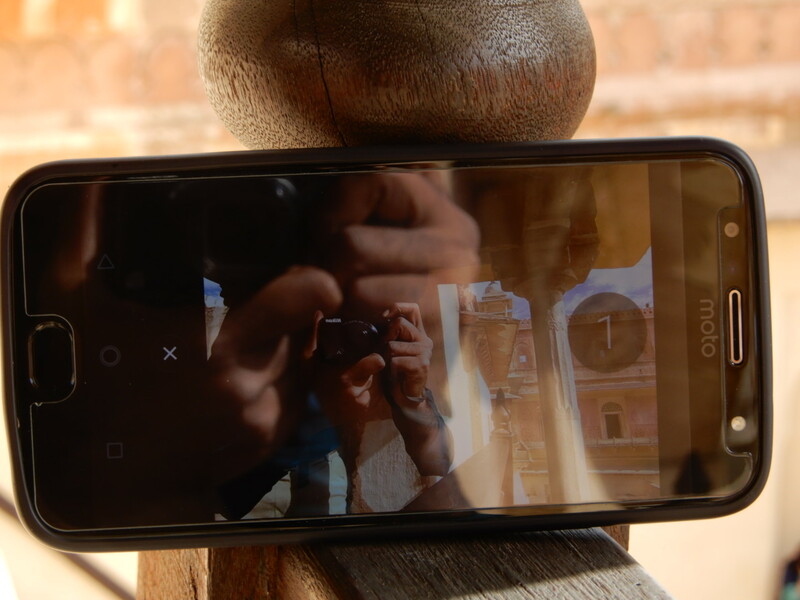 Nikon A900 has a flip screen so you can take selfie shots with it. 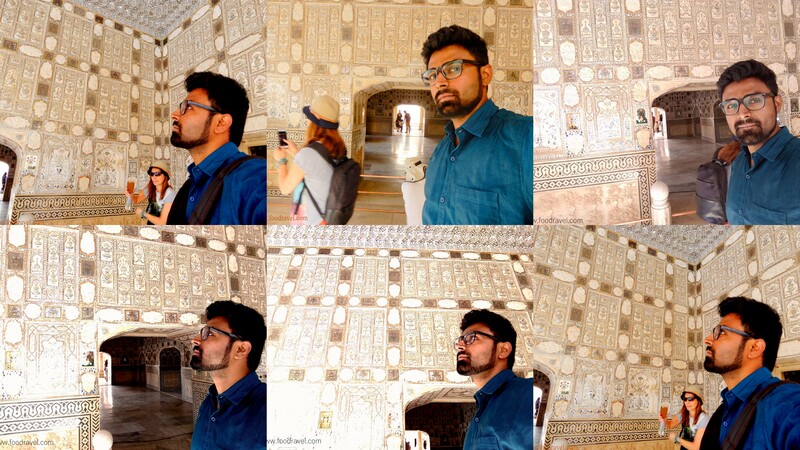 White taking selfies at Amer Fort, I used mobile my mobile phone Moto G5S Plus (which I bought on 4th December while my trip was on 22nd December), hence it was its testing phase as well. 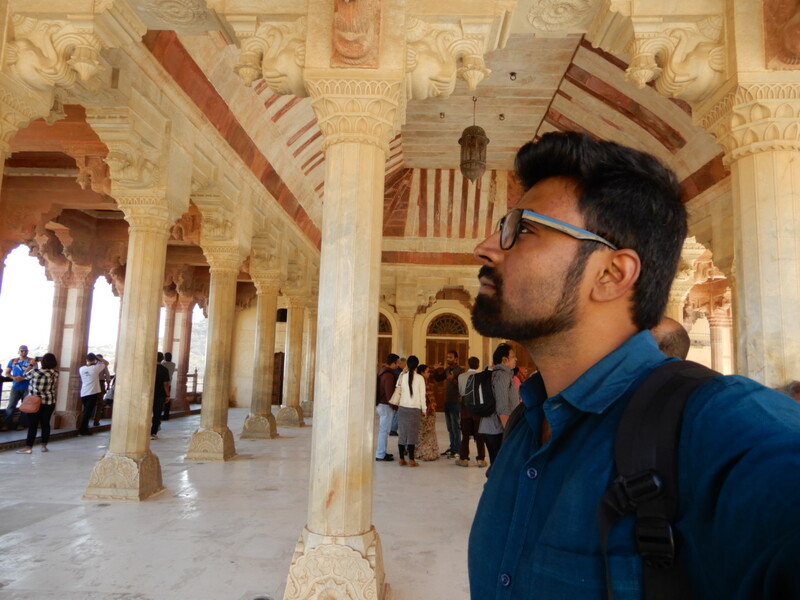 The device did well and I clicked some great shots which I am sharing here. Hope you gonna love them all.